1945 to 1980 marks an extensive period of mass migration of students, refugees, ex-soldiers, and workers from an extraordinarily wide range of countries to West Germany. Turkish, Kurdish, and Italian groups have been studied extensively, and while this book uses these groups as points of comparison, it focuses on ethnic communities of varying social structures—from Spain, Iran, Ukraine, Greece, Croatia, and Algeria—and examines the interaction between immigrant networks and West German state institutions as well as the ways in which patterns of cooperation and conflict differ. 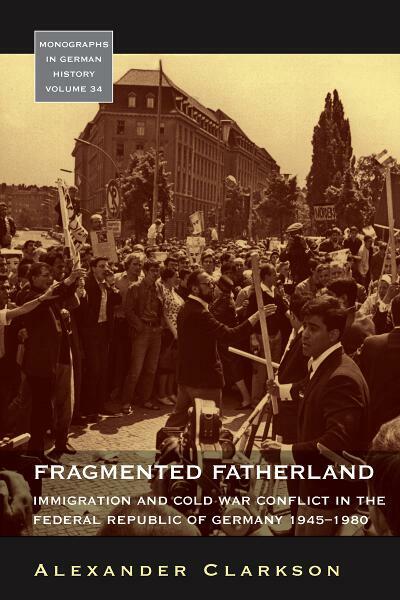 This study demonstrates how the social consequences of mass immigration became intertwined with the ideological battles of Cold War Germany and how the political life and popular movements within these immigrant communities played a crucial role in shaping West German society. Alexander Clarkson studied Modern History at Balliol College, Oxford, where he completed his doctorate. He is currently Lecturer in the German and European Studies Departments at King’s College London.